The end of the year is fast approaching, but the freight train of metal isn’t slowing down. Here are just a few of the things that caught my eyes and ears over the last 24 hours, sifted from my scanning of the NCS in-box and my daily dive into the interhole. On February 12, Season of Mist will release Rotting Christ’s twelfth studio album, Rituals. In addition, Stereokiller premiered the album’s first advance track, “Elthes Kyrie“, in the U.S. (it also appeared at many other sites around the world). “Elthe Kyrie” translates as ‘Come Lord’ and was influenced by the tragic ancient Greek poet Euripides and more specifically his creation ‘Bakxais’. This pure bacchanalian play refers to the coming of the new god. “Elthe Kyrie” drives hard and fast, burning like a bonfire, with powerhouse riffs and pulse-quickening drum beats. The crazed, inflamed pronouncements in the verse do indeed summon images of a bacchanalian ritual, while Sakis‘ roars in the chorus are gargantuan. The thunderous pounding and riveting guitar solo in the song add to its magnetic power. It’s one hell of a way to herald the coming of this new album. To listen to the song, use this link. Less than two weeks ago I featured the music of Norway’s Ragnarok in our Sunday Rearview Mirror feature. I wrote then: “They’ve got seven albums to their credit going back to 1995, the last of which was 2012’s Malediction (yes, they are overdue for a new album).” Well, they are overdue no longer, because today we received the announcement that they have completed work on their eighth full-length, entitled Psychopathology, which is set to be released in early 2016 on Agonia Records. The announcement further disclosed that this will be Ragnarok’s first album without founder Jontho on drums; Malignant (the man behind Norway’s Dauden) handles that work on the new album. It will also be the last album to feature DezeptiCunt on bass; he is leaving the band to concentrate on new projects. We don’t yet have any new music to bring you, but we will waste no time sharing it with you once premieres begin to happen. Now I’ve got some festival and tour news to share. Early-bird passes went on sale last night. I bought mine. They’re available HERE. I thought this was an exciting tour announcement even though the tour is snubbing my town. I realize I’m late reporting it, but it took me a while to get over my grumpiness about Seattle being overlooked. Okay, one more selection of new music to round out this round-up. I confess that I’m often attracted to, or deterred from, listening to new music by nothing more than a band’s name. I further confess that I nearly didn’t listen to the song you’re about to hear because I imagined that anything created by a band named Charm Designer probably wouldn’t be my kind of thing. I decided to forge ahead anyway for two reasons: First, the artwork for the band’s new album, and the animation in the following lyric video, were created by graphic artist and musician Costin Chioreanu. Second, the album is being released by Finland’s Inverse Records, and I’ve enjoyed many of that label’s releases. As it turned out, I was… charmed… by the music. The song is the title track to this Columbian band’s second album, Everlasting, which will be released on February 19. 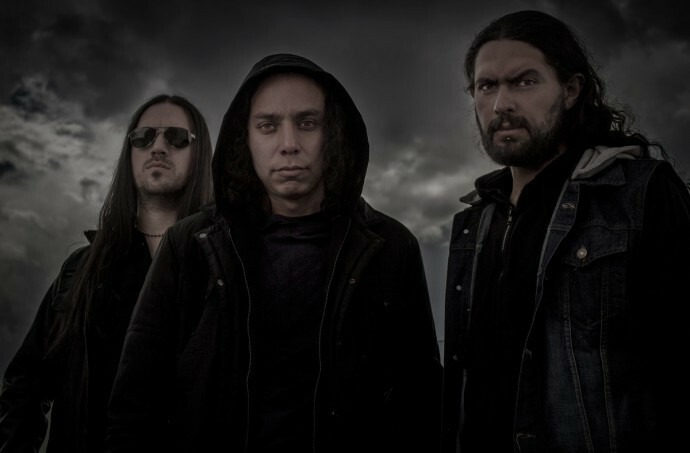 The album was recorded with producer Waldemar Sorychta, known for his work with Samael, Tiamat, Lacuna Coil, Sentenced, and Moonspell, among others; this is his first production work with a Latin American band. I should warn you that there is clean singing in this song (really good, by the way) — along with bestial growls. I should also warn you that it’s a dynamic and damned infectious song, with massive riffs and booming drums that you’ll feel in your spine and a soaring chorus melody that sticks in the head. The production gives the song a clear and powerful sound. All in all, a great discovery that I hope you’ll be charmed by as much as I have been. Still really sad that CDF tends to fall about two weeks after school starts for me. Otherwise I’d be there in a heartbeat. At least I get that Decapitated/Black Breath/Theories tour. Also, that Rotting Christ track has all but guaranteed for me that Rituals will be yet another masterful release from those dudes. Wow! Loving that new Rotting Christ track! Pretty epic sounding melodies! Total sucker for Rotting Christ, especially from Theogonia on (I know that utterly undermines my kvlt kred), and I’m definitely digging the new song. Last record didn’t measure up to Aealo IMHO, but consider my interest roused!